He’s still listed in the official results as an Austrian, but Brendon Rubie (pictured left) is most certainly an Aussie – who outlasted all but one player in the first-ever Four-Handed No-Limit Hold’em event at the WSOP. 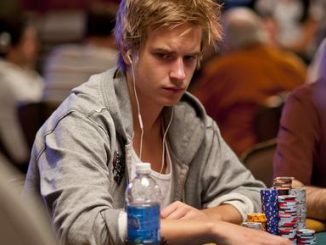 Playing in just his second WSOP, Rubie brought a big chip lead to the final table but trailled eventual winner Timothy Adams by a 6:1 ratio when the heads-up match started. Two big double-ups for Rubie narrowed the gap considerably but the end came when the chips went in on a board of 8h-Qc-10d-5s, with Adams holding Ac-Qs and Rubie Ks-Qh. The river came As to send Rubie on his way to cage to collect USD $242,548 – the biggest cash of his short but prolific career. 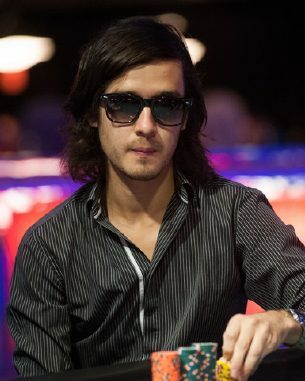 Adams, a 26-year-old professional poker player from Burlington, Ontario, Canada, collected the lion’s share of a USD $1.7 million prizepool – USD $392,476, plus the most coveted prize in the game – the WSOP gold bracelet. With his victory, Adams became the third Canadian gold bracelet winner at this year’s WSOP following victories by Ashkahn Razavi and Simon Charette. Australian players have recorded three top-three finishes through 28 events. 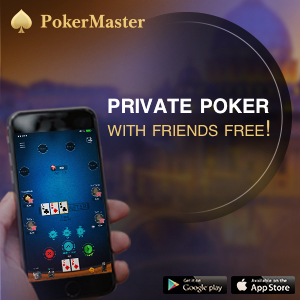 • After starting with a field of 4128 players, just 33 remain in contention for the $1000 buy-in Seniors World Poker Championship. 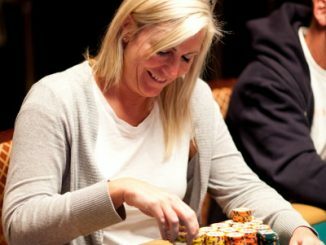 On day two, the field played from 462 down to less than four tables. 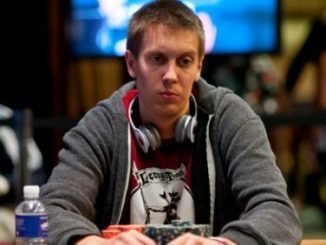 The current chip leader is Kevin DeTienne, who holds almost a 2:1 lead over the rest of the field. Allyn Jaffrey Shulman, Dennis Phillips and Hoyt Corkins are also still in the hunt for the title. Just seven players remain in Event #30, the $1500 buy-in Deuce-To-Seven Lowball (No Limit) tournament from the 285 who took their seats two days ago. The chip counts read Brandon Cantu (336,100), Rep Porter (233,400), Michael Mizrachi (206,800), Erick Lindgren (185,600), Andrew Lichtenberger (161,100), Larry Wright (116,200) and Ryan Tepen (51,100) – impressive line-up! Event #32, the $10,000 buy-in H.O.R.S.E. tournament is also entering day two with 123 of the 178 starters returning to the Rio today. Amazingly, the reigning champion Fabrice Soulier of France leads the field. And just one new event, a $1000 buy-in No Limit Hold’em tournament is scheduled to start today.